Hawaii has a pretty sizable brewing scene that is actually a lot more active than most realize. There are dozens of aspiring brewers that have their dreams set on opening new breweries and providing the islands with great craft beer. Between the millions of visitors to the islands each year and the growing number of locals who are enjoying craft beer, there is a large audience to serve. Here I’ll profile some of the faces and companies that are working towards opening new breweries in Hawaii. How did you get started brewing? Dustin: It all started when Netha bought me a Rogue Dead Guy Ale homebrew kit for my birthday in August 2009. Netha: I just thought it would be a fun thing for him to do on his free time since he was getting into craft beer at the time. He’s a pretty good cook with a great palate, so I thought he’d have some fun experimenting with some brews. When did you realize you wanted to turn your homebrewing hobby into a profession? Dustin: Like every other homebrewer out there, that first day I smelled the beer brewing on my stovetop, I realized that this is what I wanted to do from here on out. After the long 4 weeks of waiting (during fermentation and bottle conditioning), I tried my first sip of my homemade Dead Guy and I was stoked. I couldn’t stop coming up with new brew ideas and I still can’t get enough books on brewing! Netha: After the first couple successful batches of beer, I realized that this was more than a hobby, as our garage quickly turned into the epicenter of it all. Dustin began moving away from beer kits, building his own all-grain brewing system out of recycled keg shells and propane burners. There are racks and racks of bottle storage, brewing equipment and grains. He even purchased a secondary refrigerator, which is storage for yeasts, hops, and a hook-up for a corny keg (5 gallons). Now we have our own recipes on tap at all times…It’s one step up from a man-cave! Are you officially registered as a business? Netha: Yes, we are! I jumped on it once we decided to take it to the next level. I figured we needed to lock the name down asap! What is your vision for Kailua Brewing Company? Will it be a full production brewery or a small neighborhood brewpub? Dustin: Our vision has always been about making a small and intimate neighborhood brewpub that you could come in and try out the latest brews, sit and hang and enjoy the ambiance. We’ll have our flagship brews (plus some rotating taps), paired with tapas, cheeses, and charcuterie. Maybe one day in the future if all goes well we would like to can or bottle up some of the best ones and distribute. Netha: We just want to create a place where you can go, have some awesome easy to eat (and great tasting) food that goes great with our beers. Hawaii is really upping their craft beer game, it’s about time Kailua gets in the mix. Where are you in the process of starting the business? Netha: We are currently in the financing stage. We always have our eyes open for available spaces in Kailua, but we’re not quite there yet! Netha: This is where it gets tricky! We’re shopping around for an investor, going to be starting a Kickstarter campaign, and then we’ll (fingers crossed) get the rest of the money from an SBA loan. 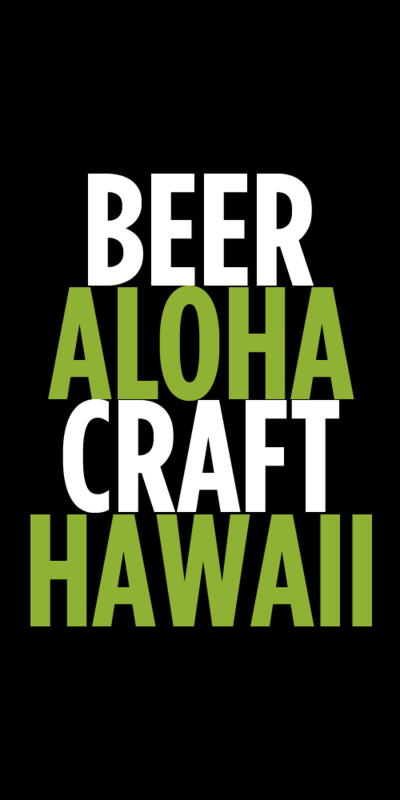 What type of beers do you want to make for Kailua Brewing Company? Dustin: The four flagship beers we plan to have all the time are the E.W.O.K (Easy Weizen Of Kailua) which is a traditional American Hefeweizen, the “Habanero Haven” (Habanero Amber Lager) which is a Vienna style lager that dry hopped with Chocolate Habaneros, the Eastside IPA, and the Vanilla Cream Stout (with Locally grown Vanilla beans from Maui). Some of our other popular beers that will be rotating through the taps will be the “Sir Smoke-A-Lot” Smoked Porter, the “K-Town Brown” American Brown Ale, the “Winter Break Barleywine”, and the “CHEE-HU!” Lager. That list will continue to grow since I’m always trying out new things! Are you currently brewing test batches and perfecting your recipes? Dustin: Yes, I’m always trying out new recipes. Once we find the right flavor profile, it’s all about reproducing it consistently. Netha: Last year, we decided to put business planning on the back burner and just focus on entering homebrew competitions. Each one you enter, whether you win or not, you get a complete review on your beers; flavor notes, ways to improve, etc. That kind of feedback is exactly what we needed…and winning a few awards doesn’t hurt! Both the Habanero Haven and EWOK have won silver medals, and the IPA has won a bronze. Since then, I’m sure the recipes are even better than they were a year ago! Do you plan on being the head brewer? Dustin: Yes I do, but I would love to hire an assistant brewer to help out and collaborate with. What professional brewing training have you had or do you plan to do? Dustin: I am completely self-taught through books and trial and error, but I would love to apprentice with a professional brewmaster. How can people help support Kailua Brewing Company right now? Netha: Since we’re in our financing stage, people can help support us by checking out our Kickstarter campaign, which will be launching in October. We’ll also be hosting a couple of sample parties locally here in Kailua, where people can come taste the flagship beers and buy some fundraising merchandise. Right now we have vinyl die-cut stickers for sale ($5 each) through our website or Facebook. I’d recommend visiting www.kailuabrewingcompany.com or follow us on Facebook for the most current details. I’ll be updating our social media outlets as we embark on this exciting adventure! When do you ideally see Kailua Brewing Company opening? Netha: We are hoping to open up shop in the next year or so once we get our financing settled. That obviously is one of the largest hurdles we’re facing! Tags: Brewery in Planning, Dustin Gomes, Kailua Brewing Company, New Brewery. Bookmark the permalink. GOOD LUCK DUSTIN AND NETHA! Can’t wait to try one of your brews! 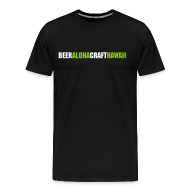 Anyone else interested in creating your own brewery on the Big Island of Hawaii? At the moment we have one of the few listings on the Big Island with special use permits for a brewery and bottling facility. Our Natural Artesian Water Keaau property is the only property with enough water to service a brewery, distillery, tasting room, restaurant, visitors center, and more. as a Kailua native and fan of beer, I’m excited for this!